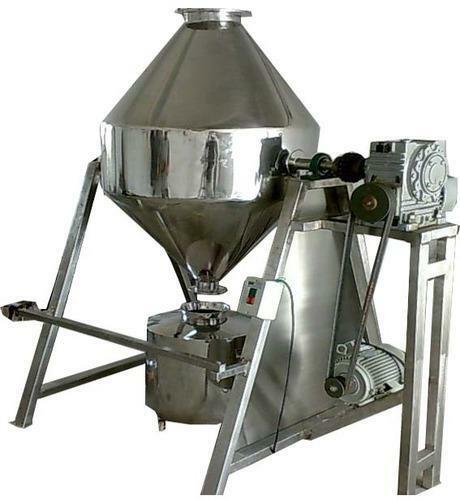 We have successfully positioned ourselves as a reputed organization, engaged in offering a wide range of Double Cone Blender that is widely used for pharmaceutical, food, chemical and cosmetic applications. This cone blender is manufactured using stainless steel in which, two-thirds of the volume of the cone blender is filled to ensure proper mixing. Due to its high-end features, it is widely used for pharmaceutical, food, chemical and cosmetic applications. The code is statically balanced to avoid any excessive load on the gear box and motor. The product container rotates on speed 8 RPM. Double Cone shape product container for the Ideal dry mixer for lubrication of granules and homogenization mixing of multiple batches into the single batch. Looking for “Double Cone Blender”?